As I get older, somehow I feel like I'm always busy. When I was in college, I was taking 5 classes and had 3 part time jobs and had no problem doing that. Now I have one job and one blog (OK, and doing random things here and there), but I always feel like I never have time for anything! Like cooking dinner. I mean, cooking just takes a lot out of me! But as they say, if you want to eat healthy, you need to eat at home. 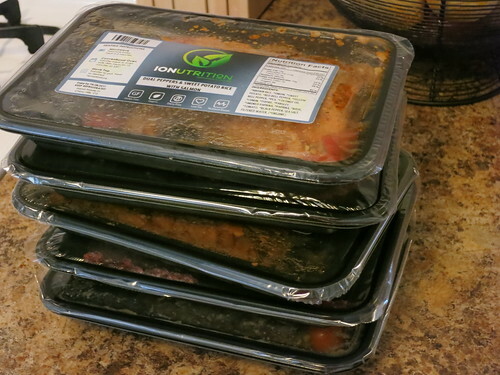 Well, luckily, I got to do that for a few days thanks to IONutrition who sent me some samples of their meals. 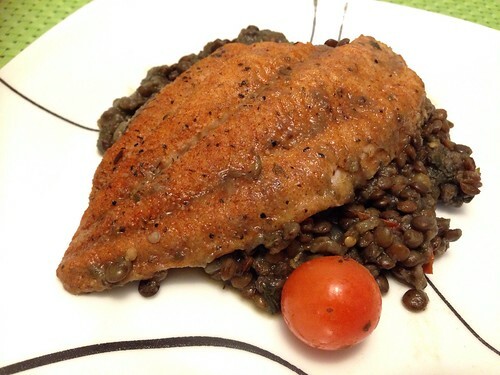 IONutrition delivers chef-prepared, organic, gluten-free meals to your door. The company is based in Chino Hills, CA, but they package everything up and ship nationwide. They deliver weekly and the meals are sealed and keep for a while. It's easy to heat them up just with a microwave or oven. We've seen a surge of meal delivery services recently, from vegan to raw to special dietary ones. One of the big players is Freshology. 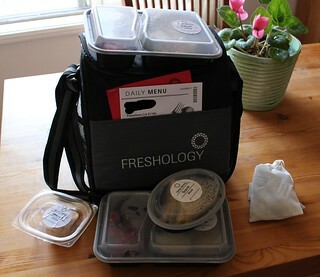 Freshology delivers a day's worth of prepared meals that are healthy, low calorie, and well made. They'll drop off the cooler in front of your door really early in the morning, so you'll have your breakfast ready. 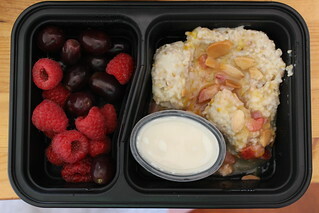 Breakfast was oatmeal with almonds, a bit of milk, and fresh grapes and berries. The oatmeal was light instead of dense, and I really enjoyed it with the grapes. I normally eat pastries or something rather unhealthy for breakfast, and I have to admit I felt rather energized after finishing this. What's for dinner at home? Caramelized pork belly with steamed kale. Think I made it from scratch? Nope. This was frozen and delivered, by Pop Up Pantry. There are many meal delivery services in Los Angeles, but for the most part they are too health focused (and healthy tasting ..) and expensive! Pop Up Pantry is neither. 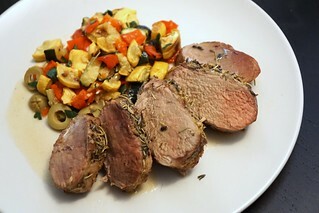 These are gourmet three-course meals, pre-prepared and shipped to you frozen for as little as $17.50 per person. You order your meals and the date you want them delivered, and it will be shipped in a box via FedEx (they note that you have to freeze them by 8pm that day). Oh, and the good thing about using FedEx? 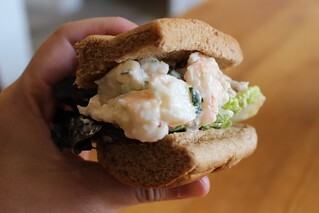 You don't have to live in LA to order these, unlike the other meal delivery services! You can live in the middle of nowhere and still get them. Inside the insulated box will be these frozen pouches of the prepared food. Preparing them for the most part is easy. Most of them you just boil in water, or stick them in the oven for 30 minutes (your meals will come with detailed instructions, don't worry). 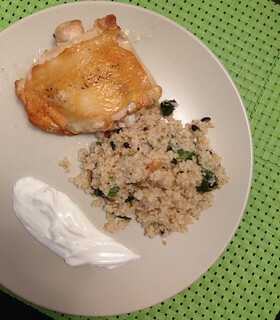 I tried out the Master Chef dinner, which was the two dinners created during the last Master Chef's finals between Christine Ha and Josh Marks.